(Pak Destiny) Cyril Almeida is free to leave Pakistan. Corps commanders think Cyril was fed false story that was a breach of security. So where are the Nawaz government and army relations are heading. This is a million dollar question at the moment every one is looking for answer. In an extra-ordinary reaction the army termed Cyril’s story – act against militants or face international isolation – civilians tell army – has much in it to read about. So will Nawaz government sail through the crisis the ‘Dawn story’ created for it or rather the government created for itself. And here comes Imran Khan’s shutting of Islamabad later this month. Will this move get its desired result… will be interesting to see. THE message has been delivered; it has been received coolly; so we’re left with two questions: why now and what next? Nawaz and the N-League are wrong on militancy. They’ve been wrong since they got back Punjab in 2008 and they’ve been wrong since they captured the centre in 2013. Either they don’t get it or they refuse to get it, but they’re not interested in a war on militancy and don’t see detoxifying society as a core part of their agenda. But three things have changed. The worse things have got, the more Nawaz has chafed at what he perceives as the original problem: sidelining him in foreign policy. One, Raheel snatched foreign policy from Nawaz and screwed it up. Two, militancy became a threat to the core agenda: the N-League’s version of economic growth. And three, the boys have tried to muscle their way into Punjab. Lost in the paeans to Raheel is a less salutary reality: he has presided over a downturn in relations with three regional countries, Afghanistan, Iran and India. On Afghanistan, Raheel seems to have been serious and sincere, but appears to have lost the argument with his side. The Ghani opening is gone. On Iran, Raheel decided to double down on Saudi. Because the relations are old, the bargain settled and the Saudi demands insistent. Forget an opening to Iran. 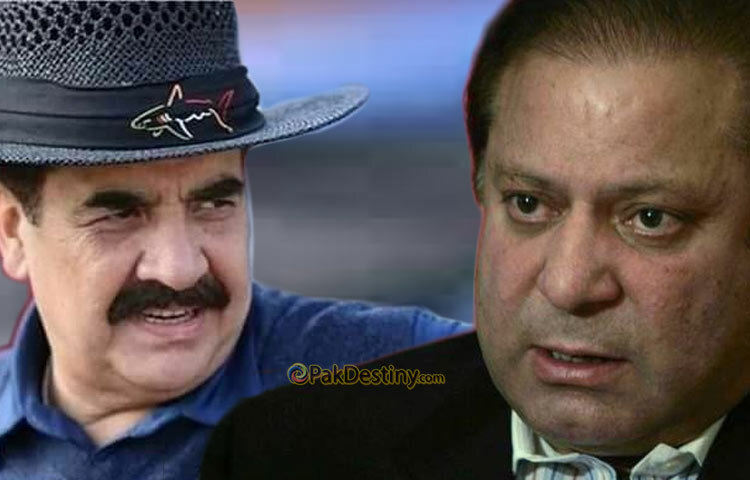 On India, Raheel kneecapped Nawaz early and has been intent on keeping India at a distance. Modi’s silliness and bluster have helped — it’s easier to scuttle what was never on the cards anyway. Nawaz’s preference is for a path to regional stability. With China already on board, stabilising relations with Afghanistan, Iran and India would give Pakistan a normal-ish neighbourhood with steady-ish neighbour relations. So the worse things have got, the more Nawaz has chafed at what he perceives as the original problem: sidelining him in foreign policy. Then there’s the core agenda, the economy. The policies may be flawed, but the goal is clear: steady economic growth via fixing electricity, infrastructure spending and, eventually, trade. But that’s not compatible with a huge jihad enterprise and an Afghanistan, Iran and India that are miffed and interested in stoking trouble domestically. So militancy has forced itself into the N-League’s core agenda. But Punjab is all Nawaz has. Let the boys into Punjab and it could be like lowering the drawbridge to the N-League’s eventual political demise. The only answer is to get in on the fight against militancy. Take the fight to the militants yourself, lest not fighting becomes a reason for the boys to force themselves into Punjab on their terms. If we can guess why, we can also guess why now. If the big picture was already converging, recent events caused an acceleration. The US, still seeing Pakistan primarily through the Afghan prism, has been annoyed. The world has tired of jihadis. The risk of conflict with India has caused diplomatic disquiet. And a chief is set to retire in November. Put all of that together and you have a reason to start the conversation now. The possibility of a drift towards isolation is real — so the conversation is factual. The chap on his way out can’t push back too hard and the parameters of the conversation can be defined before the new guy comes in. And the conversation is what the new guy in November will find the lie of land to be as he settles in. By the middle of next year, he’ll be well settled and the government turning to election mode. Now, to what the response has been. There hasn’t been just one meeting and one presentation. There have been several meetings and the presentation has been made to the chief too. Initially, the response was cool and a little dismissive — we’ve got China, Saudi, Turkey, etc. But Nawaz has been adamant and others, almost certainly at his direction, have spoken up too. Doing nothing is no longer an option, the boys have been told. That’s triggered a game of cat and mouse. The boys have suggested that perhaps parliament should get involved — why not get a resolution against some of the groups, it has been mooted. But the N-League has resisted the idea — the groups weren’t created with parliament’s consent, so why involve parliament now has been the answer. The PML-N is also trying to cover its flanks. The N-League talking point being peddled most furiously: Punjab is not Karachi. That’s as much a plea as it is an argument. The N-League knows that the conversation can quickly steer towards the party being an impediment to getting the job done. In getting some action against some groups, the N-League doesn’t want to open the door to Punjab. Between now and November, there should be some more clues. Nobody thinks there’ll be a policy U-turn or that there’ll be one soon, but Nawaz is pushing for some quick actions. If he gets them in the next few weeks, we’ll know which way the conversation is headed. If he doesn’t and political pressure suddenly appears again, paranoia may get the better of the government. The chief too has a final few cards to play: a shuffle of senior commanders, perhaps at the ISI too, and a say in the selection of the next chief. It is a fixed ‘tussle’, outcome of which is predictable . As far as cyril almeida’s article is concerned there should be responsible journalism. What ever they want put on media this issue of national security. Here must be probe and check his source , stern action taken against these sources.